AAMCO will be exhibiting at Franchise Expo West (Booth No. 711) on Oct. 6th-8th at the Colorado Convention Center in Denver, as the leader in total car care targets the western U.S. for franchise expansion. As part of its national expansion plans, AAMCO aims to open more than 100 locations in new and existing markets throughout Arizona, California, Colorado and Washington. 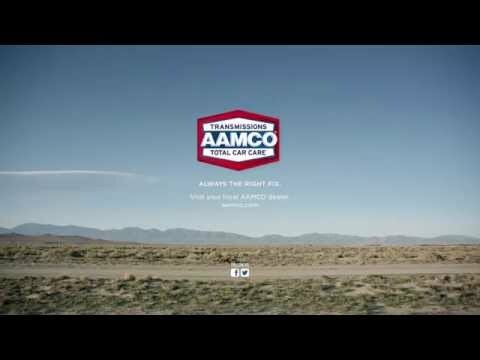 The brand currently has nearly 230 franchised locations across the Western U.S.
For more than 50 years, AAMCO’s network of locally owned and independently operated automotive service centers has employed the latest technology. Expert technicians diagnose a repair, fix it right the first time and back it with a nationwide warranty. Known as the world’s leading transmission expert, the company has evolved into a total car care brand that provides a variety of services including brake repair, tune-ups, shocks and struts, routine maintenance and more. AAMCO was recently named to Entrepreneur’s2016 Franchise 500®, ranking at the top of the transmission repair category. Based on network size, growth rate and financial strength, the brand also earned a spot on Entrepreneur’s “Best of the Best” list. To learn more about franchise or conversion opportunities with AAMCO, contact Eric Simon, Director of Franchise Development, at 866-379-5649 or esimon@americandriveline.com or visit aamcofranchise.com.